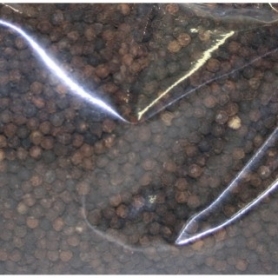 Pepper There are 21 products. 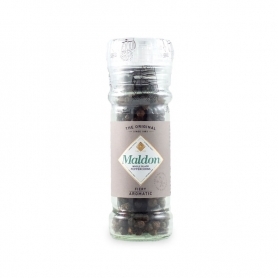 Black pepper in whole grains for maximum aroma in the dish, the perfect match for the savory and crispy flakes of Maldon salt. 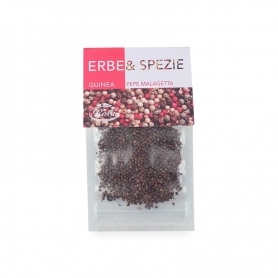 The practical pepper mill will allow you to decide your favorite. 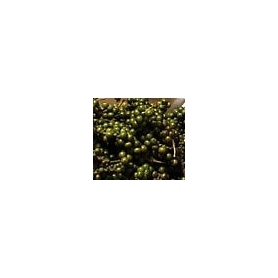 And the most valuable in the world pepper, spicy taste with aromatic notes, goes well with all kinds of dishes. 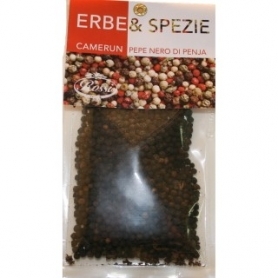 The sweet smell, has an initial taste similar to black pepper, but with a much stronger aftertaste. 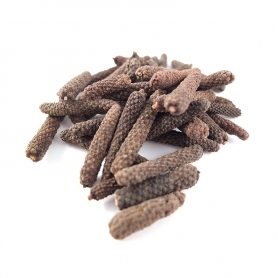 The determination of the pepper and the fresh scent of mint and cardamom. 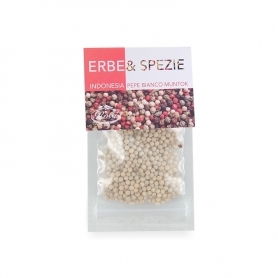 Gives that extra touch of lamb, shrimp or vegetables. 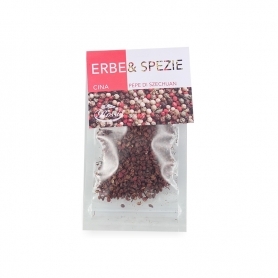 Considered by most famous restaurateurs as the best pepper in the world. 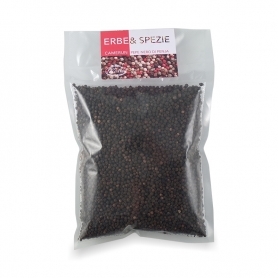 Considered by most famous restaurateurs, as the best pepper in the world. 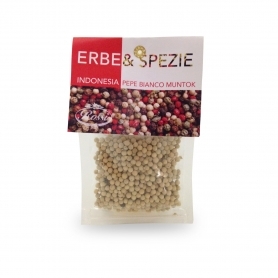 Hot flavor, Black Pepper Penja and 'recommended on pasta meat and red meat. 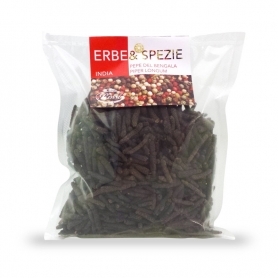 Hot flavor, Black Pepper Penja is recommended on pasta meat and red meat. 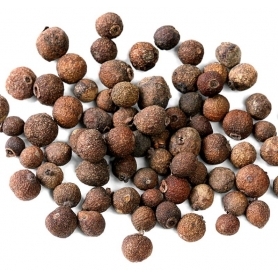 In one berry it combines the flavors of cinnamon, cloves, nutmeg and pepper. To try! 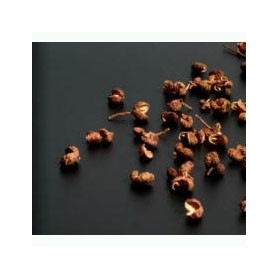 The Szechuan pepper is highly versatile and can be paired with meat, fish and vegetables. 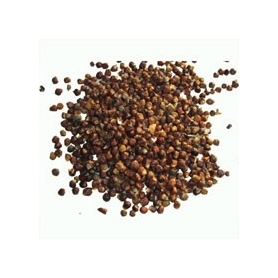 Ideal in the chocolate mousse. 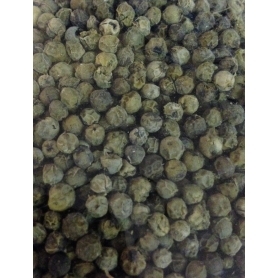 Black pepper has long been regarded as the king of spices, one of the most common and normally used in cooking since ancient times. 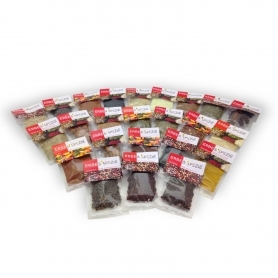 We offer you our collection of the world spices ready to use in the kitchen or for an unusual gift.